Blippit Torus New App Launch – explore, scan & share! 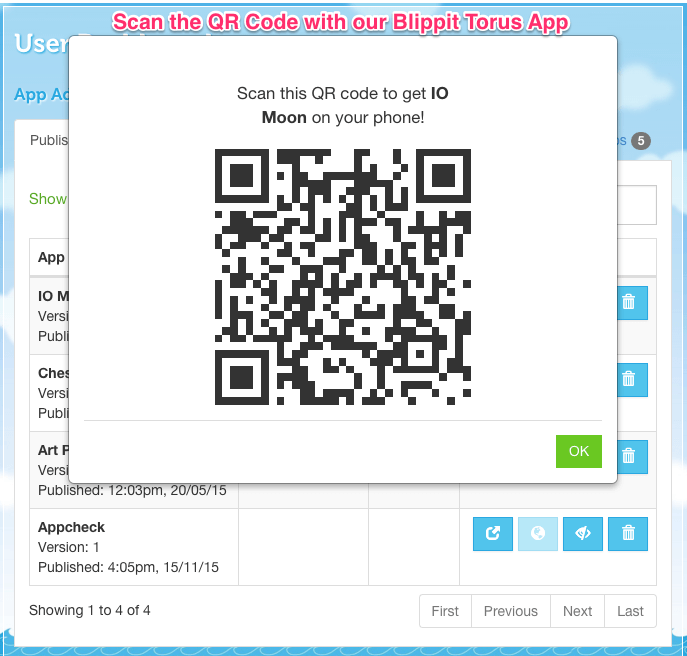 Blippit Torus is our new QR Code Reader app built exclusively for Blippit IO App Maker users. With schools moving over to the new Blippit IO we’ve now released Blippit Torus as an all new and totally free companion app that’ll make exploring apps, scanning QR codes & sharing apps a whole lot easier. 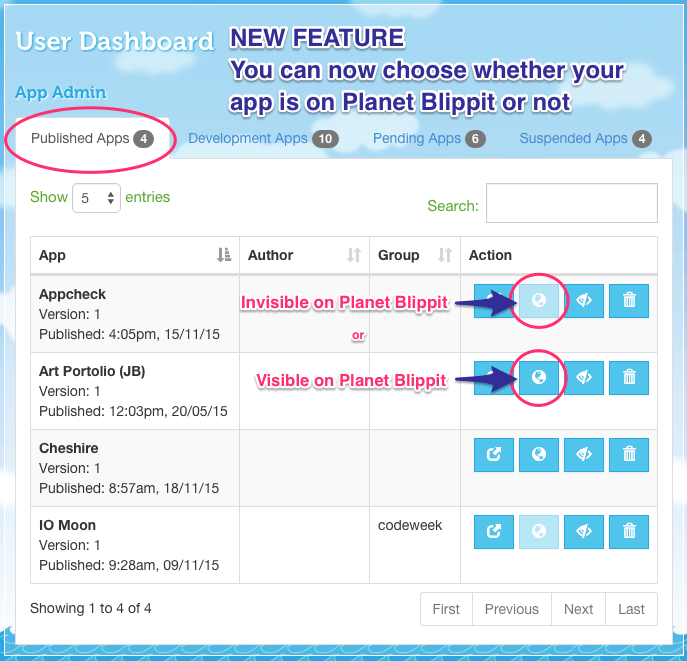 Log in as an Admin with your Blippit IO details to get your school view of all student apps which is ideal for seeing at-a-glance who has made what for evaluation/assessment purposes. 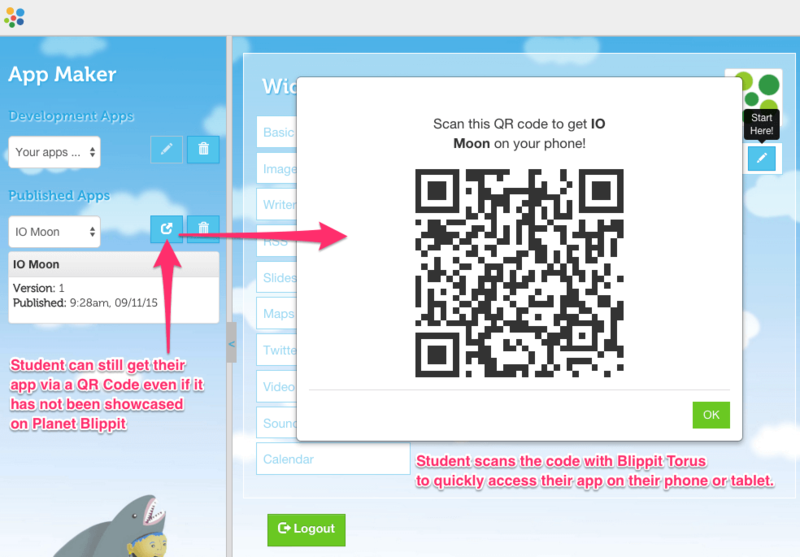 Logging in as a Student with your Blippit IO login gives you all your published apps in one place as well as fellow students. We know some teachers don’t want all apps to be showcased for their own reasons. This is a ‘top tip’ blog post for all Blippit IO Admins who have the job of saying yes/no and providing feedback on submitted apps from students. 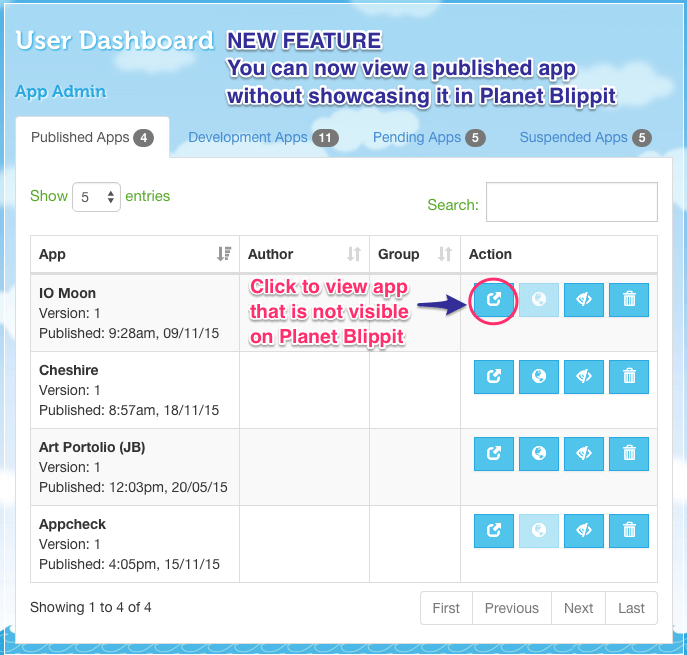 How to control whether apps are showcased in Planet Blippit or still go live but ‘not’ appear in Planet Blippit. and a QR Code will be created for you to scan with *Blippit Torus and get the app. When we added the feature of being able to upload animated gifs into Blippit App Maker Apps via the Image Widget we of course had to do some testing before releasing it to users. Just now we found a little surprise in one of the files we used to test with…. In the Blippit IO Knowledgebase we’ve tried to capture some of the more important and popular areas of Blippit IO’s tools. Here’s an example and if you want more just click the Question Mark symbol (top right) when you’re logged in to Blippit IO.